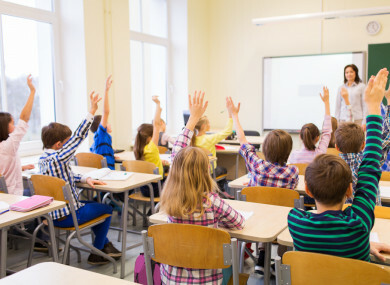 CHILDREN IN PRIMARY education are suffering from a decline in the quality of their education due to a lack of substitute teachers, it has been claimed. Principals have reported that a drop in the supply of substitute teachers across the country has left them needing to hire unqualified or retired staff to cover for teachers on maternity leave or in training. Speaking on LMFM today, the head of Mary Mother of Hope Senior School in Castaheany in Dublin, Enda McGorman revealed how he has been unable to fill the positions vacated by three of his staff who went on maternity leave this year. “I have made phone calls to principals who might have a sub in Galway, in Mayo to see if they might be willing to come to Dublin,” he said. He added that principals were now “getting it in the neck” from the parents of children who were “really unhappy” about the lack of consistency in their education. Fianna Fáil education spokesperson Thomas Byrne – who says the situation is at “crisis point” – claimed that poor training and insufficient pay was behind the drop in the supply of substitute teachers. “Finding cover for mid-year breaks is proving exceptionally difficult for teachers in both primary and post-primary schools,” he said. He added that the Department of Education was “in disarray” when it comes to substitute teachers needed “get the basics right”, including to register them for a new PAYE system. Email “'We're getting it in the neck': Lack of sub teachers at 'crisis point' as parents complain about schooling standards”. Feedback on “'We're getting it in the neck': Lack of sub teachers at 'crisis point' as parents complain about schooling standards”.